MEDIA'S DEFINITION OF "REAL WOMEN"
Social media bombards us with images of "real women" - from reality stars, to movie stars, to models, to politicians, to news anchors, and the list goes on and on. But is that really who a "real" woman is? Most of the time these women have been groomed to fit a reality that is not what I see as "real" or even desirable. Who wants to live on lettuce leaves until they die, or constantly be camera ready in case someone takes your photo? MY DEFINITION OF "REAL WOMEN"
A "real woman" to me, is a woman who is confident in herself, who knows her own mind but is still open to others. Happy to listen to other people's views but strong enough in her beliefs to know what to take on board and what to let go. Someone who is smart, and maybe a little bit sassy, but also genuine in what she says and does. I see independence and autonomy as strengths, women who are able to stand on their own two feet, support themselves if the need arises, and still have enough left over to share with those they love. Being overly dependent on someone else leads to a need to be propped up - strong women can stand alone if they need to. 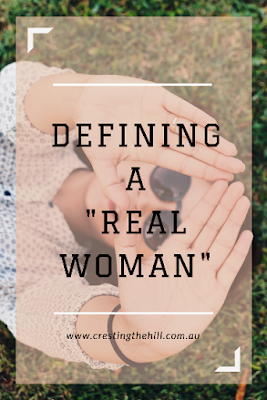 WHAT MAKES A "REAL WOMAN"? A real woman hasn't always had an easy life, she has weathered storms and trials, ups and downs, tough times and sad times, good times and bad times. She has had her rough edges knocked off, but not lost her sense of humour in the process. 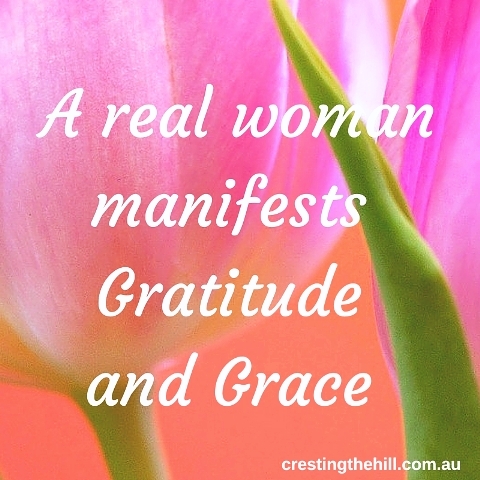 She has learned gratitude and grace through all that life has sent her way. A "real" woman has nothing to prove, she knows her own mind and she knows her own values. Compassion for others colours her view of the world, but she isn't a push over. She is fiercely loyal to those she knows and loves and would lay down her life for her family. 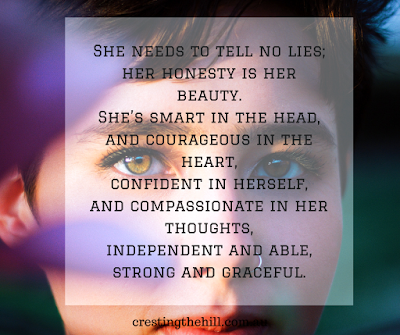 I plan on becoming more "real" every day and surrounding myself with other women who are honest and authentic. These women will all be different because they are true to themselves and to what they hold dear, but we will share a commonality of purpose and a desire to be the best possible examples of what this stage of life can be. I'm hoping to add more and more women to this circle because we enhance each other and as we share our stories we grow deeper and more gracious. Being real is all I've got. I admit when I was younger, I aspired to be that image that the media creates of women, but I was always a little out of step, even then. 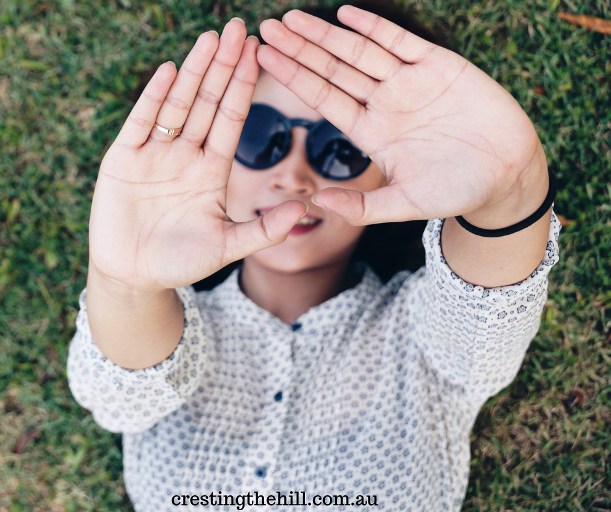 I've never cut the mustard with the "cool kids" Jennifer - but the great thing with Midlife is that it doesn't matter any more, I can dance to the beat of my own drum and I love that! Not long ago I realized how many years I've wasted trying to be the image the media promoted. I admit it - I was jealous of the women around me who live up to the hype. It's only been in the last few years that I started finding out who I am and who I want to be. I found out I like myself as I am. I'm more than my image. I love becoming who I really am! This post is an affirmation of all I've come to believe. I SO agree with this. Living life without guile. What you see is what I am. Here's to the 'real' women of the world! I love "living without guile" Diane - you come up with some great little terms that say it all so succinctly! I think as we get older Leanne we realise that the person we are is more important than the exterior. I will always try to keep fit and healthy but I know I'm no model and don't want to be. I'd rather leave a legacy of kindness. We undervalue things like kindness and generosity and even niceness don't we Sue. If the world was full of those type of women instead of the primpted and pampered ones then it would be a better place all round. Great piece!!! We need these reminders from time to time to let us know we are doing the right things the right way! It's a matter of re-thinking our priorities and not falling into the social media madness of the "ideal" woman isn't it? Just being happy to be a good person doing their best and doing it authentically is my aim. I love that concept of surrounding yourself with authentic and kind people. I've increasingly done that as I've aged Leanne and not being as wedded to my job and people there has probably helped a lot. I'm still FB friends with a lot of people I've met over the years - particularly through work. I cull every so often but I leave people there who I can continue to relate to, even if it's unlikely we'll meet up again. We spent a lot of our lives trying to keep everyone happy and to present a face to the world that was expected of us Kathy - I think we're waking up to the fact that who we are is pretty darn fine on it's own and we don't need to put up with that stuff anymore - it's so liberating isn't it? That's what's been really lovely about discovering the LovinLife linky Min - so many women who are at a similar age and stage (and nationality!) who are owning themselves and liking who they are - it's inspirational and so encouraging to be a part of it. Perfectly explained Leanne and so so true. Why do we find it so difficult to be authentic. As Min says that seems to come with age but I hate to see younger women following the crowd and love it when I see the one or two of them who have the strength of character to stand up and say "No, THIS is who I am ". We need to encourage more of that. Young people have so much more confidence than we had at their age, but they're under more pressure to present a perfect ideal to the world. I hope they discover their true selves and celebrate their quirkiness because that's what makes everyone special isn't it? It took me 50+ years, but I'm getting there! I think it means something different for all of us Jo - and that's why it's so important to find it for yourself and not look at trying to fit into other people's boxes. I think it's easier to be real now that I'm older, because I realize I don't know everything!! 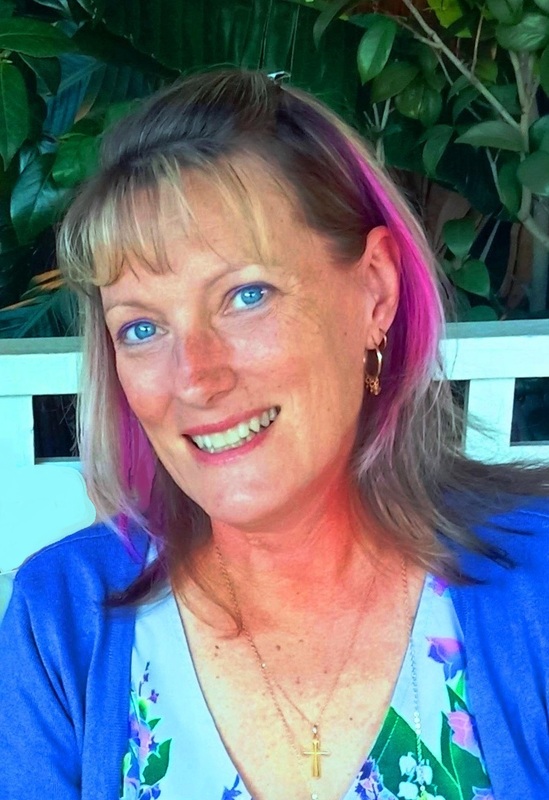 I'm the same Jodie - and I care less about meeting the expectations of others too - an added bonus! I think it depends on who you know and what you expose yourself to Donna. There are a lot of people still putting on a mask every day to face the world and others who are trying to keep up with the Joneses. I'm finding that I have less time for those people and want to invest in "real" and "authentic" relationships - because it's about time! You're right Deb - I value people who are true to themselves and to their beliefs (even if they're different to mine) so much more these days. I just can't be bothered with fake or 'fabulous' - I just want normal and real. Your description of real women is exquisite! I wish I could tell all of this to those twenty year olds who are still struggling to fit in and be whatever they think they are expected to be. Alas, they wouldn't listen, or perhaps just couldn't really hear and understand without the wisdom of age and experience behind them. There's so much pressure on the younger generation these days to meet the IG idea of perfection. It was hard enough when I was a young woman, but it's a different set of expectations these days - and so much is based on physical appearance! The term in the media of "real woman" seriously bothers me too. Often it used to describe a woman who has a more voluptuous body. How does that make the women who have tiny frames feel? Does that make them any less real? How about we just ditch the world real altogether and just celebrate being women with all the wonder and beauty that brings (including all your points above). You have such a good point there Leanne - there is no "real" anything with the media these days - it swings from one ideal to the next and we feel like we can never keep up. Let's just celebrate our own uniqueness and get on with life with a smile! I think the idea of "best version of ourselves" is the key Lyndall - not how we compare to the "perfect woman" but how much we're growing and developing and becoming a better person. If we look back and don't see much of an improvement then we've either finally arrived, or we need to ask ourselves if we are being led in the wrong direction. So true! I think this is something we get as we get older. I don't feel near the pressure to fit in at 51 that I did at 21 or even 31. Now I'm just me. Take me or leave me. I'm the same Dianna - the young woman I was missed out on so much because I had no idea how to claim my own place in the world - now I'm doing it every day! Another post to encourage a better lifestyle attitude. I love your style with words. I have been naming Jewelry Sets after my friends, your set is the Tree of Life, take a look https://www.luvitjewelry.com/shop/tree-life-jewelry-set-gold-leanne/ Naming these sets helps me remember them and you.